Gianni Rivera, a footballer regarded as one of Italy's all-time greats, was born on this day in 1943 in Alessandria, a city in Piedmont some 90km east of Turin and a similar distance south-west of Milan. Rivera played for 19 years for AC Milan, winning an array of trophies that included the Italian championship three times, the Italian Cup four times, two European Cup-Winners' Cups and two European Cups. He won 63 caps for the Italian national team, playing in four World Cups, including the 1970 tournament in Mexico, when Italy reached the final. 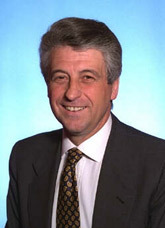 Later in life, he entered politics, sitting in the Chamber of Deputies of the Italian Parliament from 1987 to 2001 and serving as a Member of the European Parliament from 2005 to 2009. Rivera had a tough upbringing in Alessandria, which suffered heavy bombing during the later stages of the Second World War, with hundreds of residents killed. His family were not wealthy but Rivera found distraction playing football with his friends in the street and it was obvious at an early age that he had talent. His father, a railway mechanic, arranged for him to have a trial with the local football club when he was 13 and he was quickly taken on as a youth team player. The club, US Alessandria, competes in the semi-professional Lega Pro nowadays but was a much grander concern as Rivera was growing up and when he made his senior debut in 1959, aged just 15 years and 288 days, it was in a top-flight Serie A match against Internazionale. He was the second youngest player in Serie A history. By the age of 17, Rivera had been sold to AC Milan for 90 million lire. Small and slight, Rivera had to win over his critics, some of whom decried him as a 'luxury' player in that he was never one for the physical side of football. Gianni Brera, one of Italy's foremost football writers, dubbed him abatino - literally 'little abbot' - and did not intend it as a compliment. Yet Rivera's intelligence and imagination, first as a winger and in time as a classical 'number 10', playing just behind the forwards, enabled him to score and create goals in abundance. Rivera helped Milan win the 1962 scudetto - the Serie A title - when he was only 18 and when the rossoneri became the first Italian club to win the European Cup a year later, beating Benfica 2-1 at Wembley, it was Rivera who set up both Milan's goals for José Altafini. 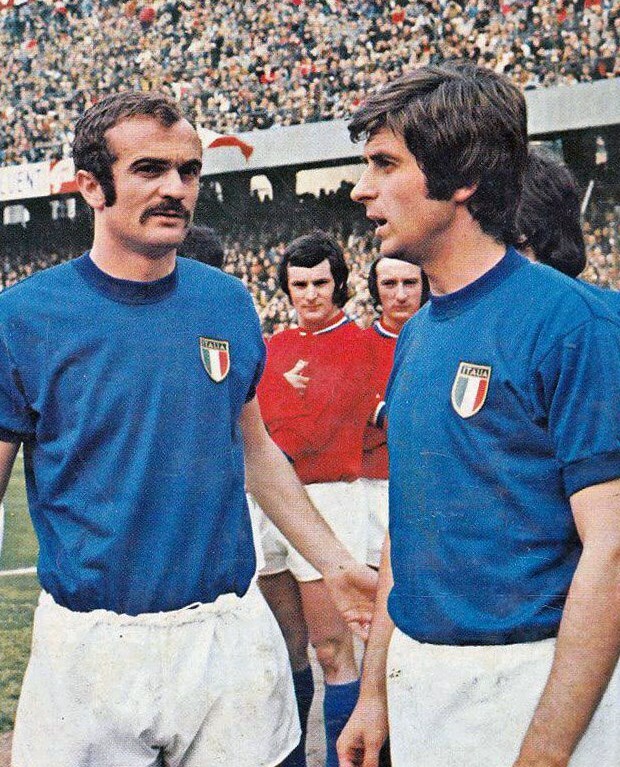 In his international career, Rivera was a member of the Italy team that won the European Championships on home soil in 1968 and scored the winning goal in an epic semi-final against West Germany in the 1970 World Cup in Mexico as the Italians triumphed 4-3. 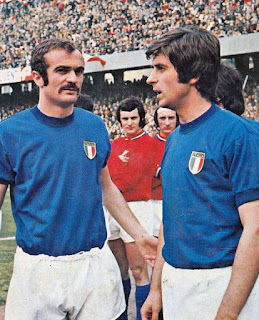 This was the tournament in which Ferruccio Valcareggi, Italy's coach, could not decide between Rivera and the similarly gifted Sandro Mazzola as his playmaker and ended up reaching a bizarre compromise that he termed the staffetta - 'relay' - in which Rivera, captain of AC Milan, and Mazzola, captain of their fierce city rivals Internazionale, would play one half each, with Rivera often coming on at half-time. It worked effectively in the quarter-finals, when Italy overwhelmed the hosts Mexico 4-1 with three goals in the second half, and against the Germans, when Rivera's influence in extra time was decisive, although Valcareggi abandoned the policy in the final, with Rivera kept on the bench until the final six minutes, by which time the brilliant Brazilians were well on their way to a 4-1 win. 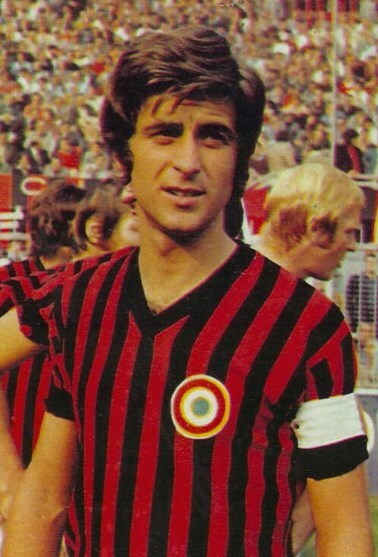 Rivera played his last match for Milan in 1979, retiring after 658 club appearances, having scored 164 goals. As with many outstanding club servants in Italian football, he was given what was assumed would be a job for life with the rossoneri, who made him a vice-president. All that changed, however, when Silvio Berlusconi bought the club in 1986. Rivera and the future Italian Prime Minister were diametrically opposed politically. The former player made outspoken comments about the controversial Berlusconi's involvement, as a politician of the right, in what was traditionally regarded as the club of Milan's working class, after which he was stripped of his status as vice-president and had his right to match tickets withdrawn. Not surprisingly, Rivera resigned. It was soon afterwards that he stood for election to the Italian Parliament, initially winning election as a centrist but moving to the centre-left. As a member of the Italian Renewal movement set up by former Prime Minister Lamberto Dini, he served in the Olive Tree coalition led by Romano Prodi that defeated Berlusconi in 1996. For a while, Rivera was under-secretary of state for defence. After his stint as an MEP, Rivera returned to football in 2013, appointed by the Italian Federation as President of the Technical Sector, overseeing the training and qualification of coaches. 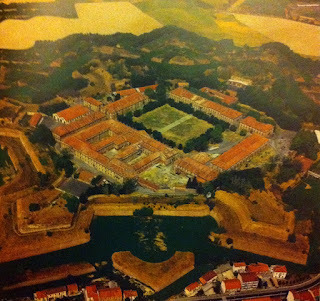 Alessandria is notable among other things for the Cittadella di Alessandria, a star-shaped hexagonal fortress built in the 18th century when the city was part of the Kingdom of Sardinia. 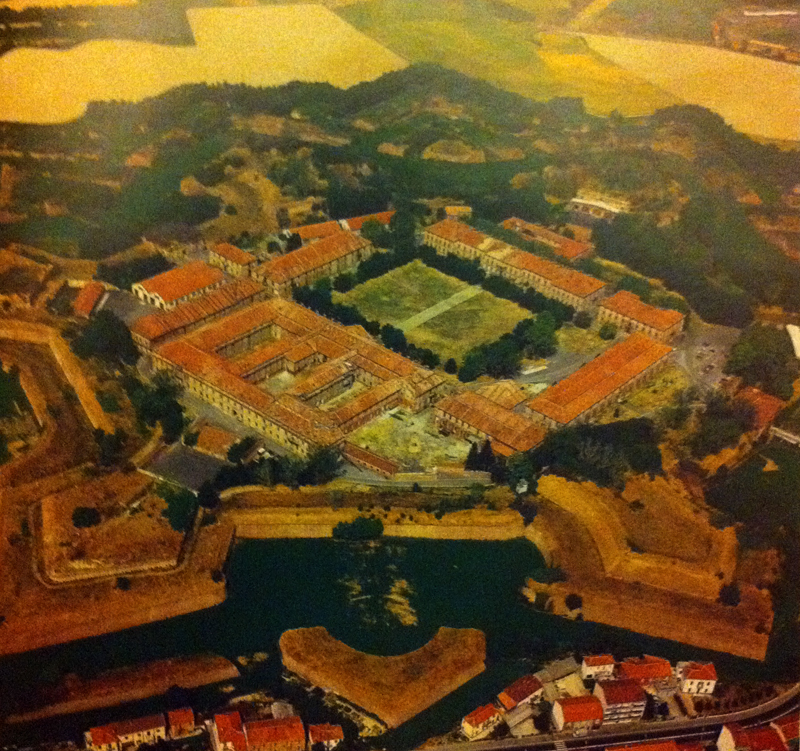 Situated just outside the city across the Tanaro River and surrounded by a wide moat linked to the river, it covers more than 180 acres and is one of the best preserved fortifications of its type. It remained a military establishment until as recently as 2007 and now holds a permanent exhibition of about 1500 uniforms, weapons and memorabilia. Milan is the most populous metropolitan area in Italy and the fifth largest in Europe with an urban population of around 5.5 million. It is the wealthiest city in Italy with the third largest economy in Europe after London and Paris. Its many notable tourist attractions include the magnificent Gothic cathedral, the Sforza Castle and Leonardo da Vinci's mural painting of The Last Supper, in the refectory of the Convent of Santa Maria della Grazie.